Patricio Matricardi is currently twelfth in Super League (Greece) and first in group Gr. 6 of Greece Cup (Greece) with his team Asteras Tripolis. Patricio Matricardi is one year older than his team's average age, as he was born on 07.01.1994. The Spanish defender Patricio Matricardi joined his current team, Asteras Tripolis (Greece), in July 2018. 63% of Asteras Tripolis's football players are right footers and so is Patricio Matricardi. He was used in four of the matches in the present term. Standing 1.89 meter high, he is larger, when looking at the average height in his team. After an overall look at his career, we can see that Patricio Matricardi was substituted in twice but never out. In the active season, he came into the park more often in contrast to 2017/2018 wherein both types of substitutions were balanced. Weighing 176.37lb, he measures 12lb more than the average player on Asteras Tripolis. Throughout his professional career, he participated in 48 games, the last appearance being 57 days ago. Patricio Matricardi is playing as defender in Asteras Tripolis together with Christos Tasoulis, Robert Kumadey, Triantafyllos Pasalidis, Valentinos Vlachos, Grigoris Fotopoulos, Alexandros Kardaris, Konstantinos Triantafyllopoulos, Giorgos Kyriakopoulos, Panagiotis Diamantopoulos, Ioannis Christopoulos and Angel Martinez. 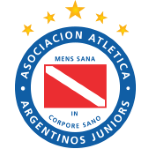 The longest period that he stayed in a team was five years and a day in Argentinos Jrs (Argentina) As for winning percentages, he won with Asteras Tripolis only 20% of their home matches (20% in total) in Super League and 100% of their home matches (100% in total) in Greece Cup. 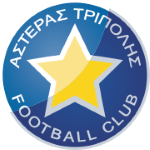 Asteras Tripolis enjoys a 3-game winning streak during the last 3 games of the current season. 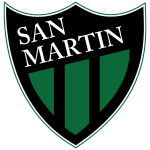 Five months was the stubbiest period that Patricio Matricardi was contracted to a team (San Martin de San Juan from Argentina) He managed to attract a lot of good feedback after his performance at Argentinos Jrs, the team he was subjected to before joining Asteras Tripolis. He impressed in Primera Division 2015 (Argentina), reaching his personal record of match appearances. Patricio Matricardi wears the number 2 strip at Asteras Tripolis. To date, collectively he holds 16 penalties, of which one is red. Lately, he seems to be more quiet since less penalties were given to him than usually.